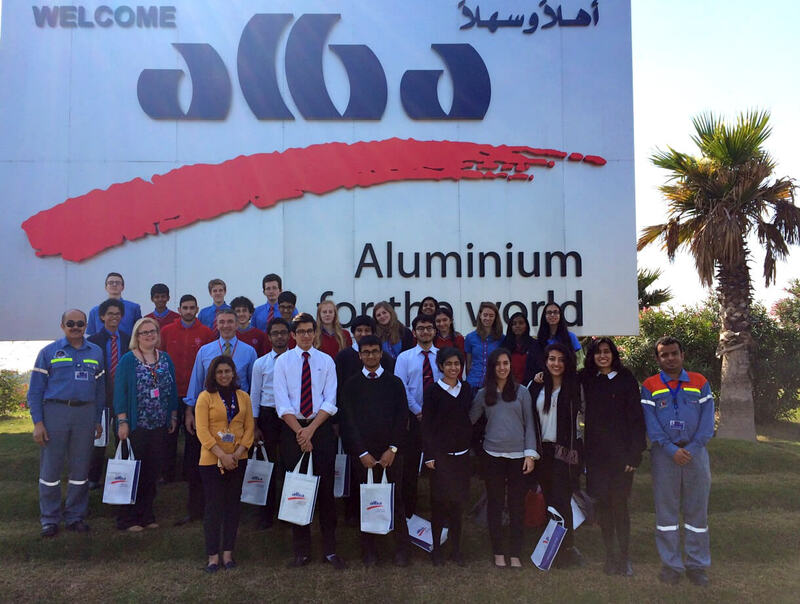 On the morning of 26 January, twenty Year 10 and ten Year 13 IB Chemists made a field trip to visit the Alba Aluminium works. Alba is one of the ten biggest such facilities in the world, producing in excess of 900,000 tonnes of aluminium product each year. During the visit, the students learnt of the economic importance of the installation to Bahrain and how the plant has resulted in the creation of a vibrant downstream industry, which brings wealth and job opportunities to the Kingdom of Bahrain. The students saw the huge gas fueled electricity generating plant and witnessed one of the world’s biggest single line of electrolysis cells, which extends over 1.2km. After an educational film, the commitment of Alba to creating a green environment was explained to the students by Mr H Alshaibeh. HR Manager. The students saw the man-made lake on site, home to many birds and also the extensive gardens in which fresh vegetables are grown and subsequently distributed to the workforce. The visit was informative and helpful in allowing the students to gain a grasp of the scale of this major industrial enterprise. We are particularly grateful to Mr Alshaibah and his team who made this visit such a seamless affair.